Aquaman is the first DCEU movie to pass the $1 billion mark, and it’s also expected to replace The Dark Knight Rises this weekend as the #1 DC film of all time at the box office. That’s great news for Warner Bros. and DC, and you can bet they’re planning on an Aquaman sequel soon. Now it’s reported that James Wan won’t be back until he finds a script that he really likes. Wan has mentioned to Nerd Reactor that he wants to take a break from superhero movies. Aquaman has made $1.07 billion and just needs $17 million more to beat The Dark Knight Rises. This is pretty impressive since it shows that people are craving other DC heroes besides Batman. Batman has been the top-tier DC hero with many movies under his belt including Batman, Batman Returns, Batman Forever, Batman and Robin, and the Dark Knight Trilogy from director Christopher Nolan. But times are changing when a film featuring Batman isn’t pulling as much money as films featuring just Wonder Woman and Aquaman. Batman v Superman: Dawn of Justice was big at the box office, but it only made $873 million. Wonder Woman grossed $821 million worldwide, and her film didn’t need the Justice League heroes. That leads us to Justice League, a film that has Batman, Superman, Wonder Woman, Aquaman, The Flash and Cyborg, but it failed to reach over $700 million at the box office. Warner Bros. has been trying to capture the success of Marvel Studios with its shared universe, but due to the success of the solo films like Wonder Woman and Aquaman, it’s going to focus less on the DC Extended Universe. In the meantime, Wan is working on a reality series with New Line and is teaming up with Warner Bros’ Stage 13 to look for the next big horror filmmaker, according to THR. The horror reality series will have 13 episodes and will be called Night Vision. 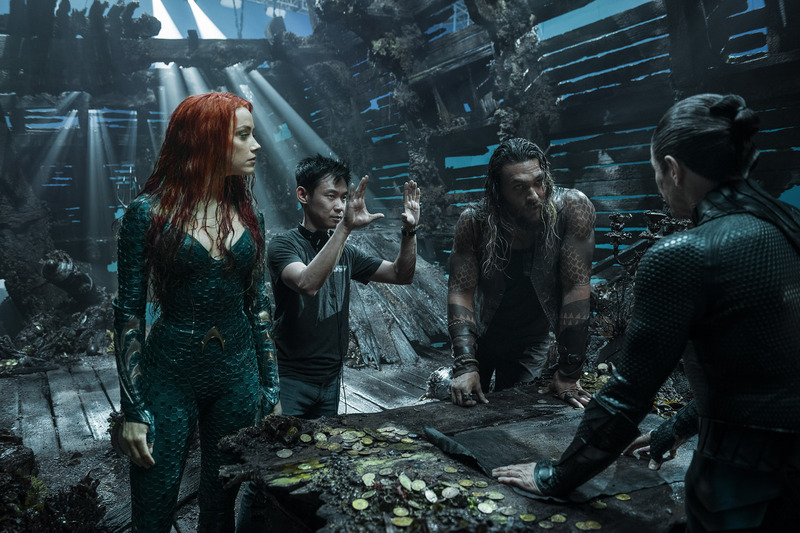 The post James Wan to tackle Aquaman sequel only if he finds ‘seaworthy script’ appeared first on Nerd Reactor.